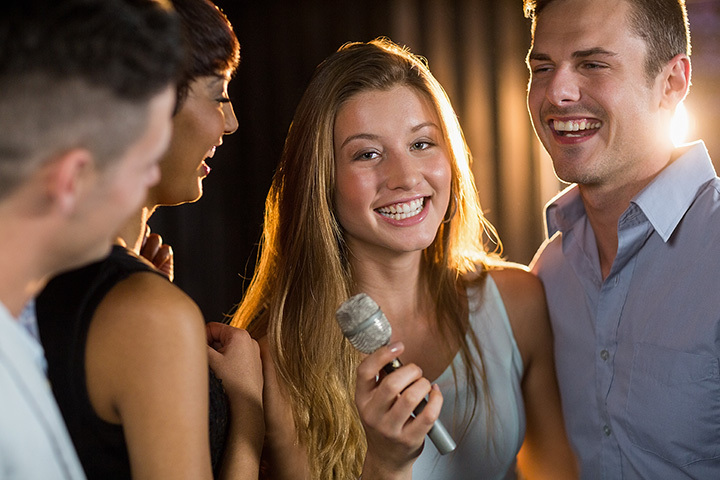 For those who've ever wanted to get up in front of a crowd and deliver a favorite song, or maybe just goof off with your friends, karaoke can deliver like nothing else. Finding a karaoke night can be a bit of a challenge, but if you know where to look, you can be up and singing in short order. Good news: Michigan is home to plenty of karaoke bars and karaoke nights all across the state. Here are the 10 best. Ranked No. 1 by readers of Detroit A-List's 2014 and 2015 karaoke bar listings—and number two in 2013—Royal Oak's Inn Place Bar and Grill features not only fun karaoke nights but also plenty of food and drink to go along with them. Soup, sandwiches, burgers, and even some special theme night dishes, The Inn Place will deliver value all throughout the week, along with its karaoke night. Ann Arbor's Midnight Karaoke makes an impressive claim: calling itself the best karaoke place available in Michigan is a pretty tall order. Considering that it provides a variety of rooms ranging from small to large and VIP—each hosts a different number of visitors—but also professional grade video equipment, it's clear that Midnight Karaoke is delivering on its claims. Top it off with a wide variety of songs in not only English but also Chinese, Korean, and even Japanese and Midnight Karaoke is one of the best around. Karaoke every night but Tuesday! That's the oddly specific pledge of Renegade's Bar and Grill, formerly Rockstarz Karaoke Bar and Grill in Garden City. Featuring a substantial new food menu along with improved drinks, including both domestic and imported beers along with some local craft brew, there will be plenty of different experiences in the mix to make sure a night at Renegade's never gets boring. Head out to Saginaw's 100 Proof Saloon for one of the most unusual karaoke nights you've seen in a while, as it doesn't really happen at night. The 100 Proof Saloon is home to Happy Hour Karaoke, an event which runs Tuesdays from 5:30 p.m. to 9:30 p.m., which means—at least in the summer months—it's possible to sing a round of karaoke and get home before dark. That's a rarity in the market, and it's specifically geared to get the 9-to-5 crowd in for an unusual mid-week experience. Cheer’s Good Time Saloon in Grand Rapids offers another comparative rarity in karaoke: a family karaoke event. Starting earlier in the evening, it attracts the younger set, which allows you to catch what may well be the next generation of YouTube sensations, American Idol contestants, or even outright pop stars in the making. Plus, for those of more upright sensibility, the kids singing means the content can be appropriately dialed down without objectionable subject matter. Those who want something a bit stronger, though, can show up for the later-evening affairs. With a name like Tipsy McStaggers, this Warren bar delivers as a high-quality karaoke establishment. This spot has karaoke every night but Sunday. Throw in the impressive array of drinks and food choices—including what looked like a four-decker bacon cheeseburger—and this karaoke-driven bar named for a joke from a Simpsons episode (not kidding. Tipsy McStagger's tried to buy the Flaming Moe recipe way back in season three) will deliver indeed. Cavill's in Taylor is a great option for karaoke in Michigan. With karaoke running nightly at last report, and plenty of food and drink choices to go around, Cavill's should have just about everything anyone could need for an exciting night out. Those not inclined to sing, meanwhile, can enjoy a pool table and several televisions for sports. South Haven is one of Michigan's biggest beach towns, and as such, it understands the value of a good party and a great time. Karaoke is part of that, not surprisingly, and the Curve Inn will deliver that karaoke experience. Live music, impressive food options—one night featured Cajun shrimp and grits with pineapple upside down cake—and special events like a $100 prize for the biggest morel mushroom all make the Curve Inn an experience not to be missed. It's no surprise that Traverse City could field a karaoke operation, so head on into Union Street Station to find some of the greatest karaoke action around. Oddly, Sunday night is the night for karaoke here, and some reports note cash prizes are actually part of the action on at least some portions. Including other live music operations, a variety of drink specials, and plenty more, Union Street Station has what it takes to make a great night of karaoke. East Lansing's Crunchy's has a particularly noteworthy pedigree on its side. Specifically, it's been rated one of the best karaoke bars in the United States. That's quite a recommendation, and backing it up is a slate of special events, an array of food and drink choices, and perhaps one of the greatest spectacles a bar can know: a bucket of beer. No, not bottles in ice served in a galvanized pail, that's old news. This is a five-gallon mop bucket that's been filled with the equivalent of roughly 24 beers that includes everything from Rogue to Silver Bullet, according to several reports.